Congress' negotiations on individual market stabilization are mired in a debate over language that would ban use of federal funds to cover abortion, which could prevent lawmakers from reaching an agreement on the spending omnibus before next week's budget deadline. Support for funding the halted cost-sharing reduction payments and a reinsurance pool has been gaining momentum in both the Senate and House since January. But the White House and conservative Republicans have created a new stumbling block with their demands that the abortion funding language, in what's known as the Hyde Amendment, be attached to the measures. Democrats remain staunchly opposed to the proposal. The GOP healthcare overhaul bill included Hyde Amendment language, raising federalism concerns since California and New York allow plans to offer abortion coverage. 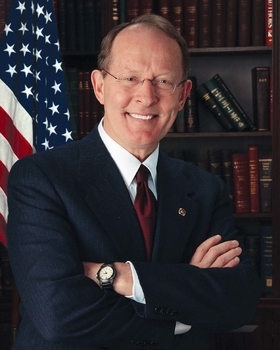 On Thursday, Sen. Lamar Alexander (R-Tenn.) took to the Senate floor to remind lawmakers that without a stabilization measure, insurers will announce a new increase in premiums on Oct. 1. This is just one month before 2018 midterm elections. "We have broad support for this policy we have been working on for months," Alexander said, specifically citing support indicated by Senate Majority Leader Mitch McConnell (R-Ky.) as well as President Donald Trump. The proposal Alexander is currently floating among lawmakers for the omnibus includes $30 billion for a three-year reinsurance fund — $10 billion annually — and three years of funding for the CSRs. This funding matches a similar proposal in the House by Rep. Ryan Costello (R-Pa.), which has the support of House leadership. Alexander's proposal also includes the expansion of access to so-called "copper plans," or catastrophic insurance, and provisions to streamline the 1332 waiver application process and automate approval for waivers that have already been approved for another state. Lawmakers largely agreed on these provisions in an October deal struck by Alexander and Senate health committee Ranking Democrat Patty Murray of Washington. But the abortion language hurdle isn't insurmountable, though the path forward wasn't clear Thursday afternoon. A White House aide said Democratic opposition to the Hyde Amendment's inclusion is "reducing the likelihood" of a stabilization deal in the omnibus that is due for passage March 23. As negotiations over the omnibus continued this week, the House missed its initial Wednesday goal to release legislative text of the bill. It is now expected to drop early next week. Aides close to the negotiations said Thursday the health appropriation would be included despite lobbyist rumors that the stabilization fight could lead to a continuing budget resolution for the health spending. As lawmakers move into crunch time, two new analyses project that premiums will decrease if the measure passes. A preliminary analysis by the Congressional Budget Office on Alexander's proposal estimates an average nationwide premium reduction of 10% next year and 20% in 2019 and 2020. The consulting firm Oliver Wyman also released analysis of the $30 billion reinsurance pool that estimated individual market premiums for 2019, 2020 and 2021 would be at least 40% lower than they would be otherwise, and that an additional 3.2 million people could gain coverage. Lawmakers experienced relatively smooth sailing as they worked to address stabilization in the omnibus. But that changed after the White House sent a list of policy demands to Capitol Hill that the Trump administration wants to include with any reinsurance fund. These include statutory language or clarification to allow HHS to permit auto-renewals for short-term plans. The White House also made it clear the administration wants Hyde Amendment protections for CSRs.